After the success of 3G tablet now electronic giant are coming with their advanced Tablet with more feature. Unlike smartphones, tablets are mostly designed for high data consumption. With a smartphone, you can make calls, send texts and even turn it a digital camera if you are on a picnic. But tablets are chiefly for Web browsing, e-reading and entertainment than many other purposes. So, there should be the best available data connectivity on new generation tablets. Users will be able to surf the Web, download music tacks, play online games and watch YouTube videos without any connection sluggishness. Technology manufacturers have surely realized this fact. Nowadays we have a number of high-end tablets with 4G LTE (Long-Term Evolution) connectivity in front of us. Thanks to the rapid evolution of 4G connectivity technology, the heir to the almost out-of-date 3G network, has helped companies like Samsung, HTC, LG, Acer and Dell launch 4G LTE-enabled tablets. What difference 4G LTE tablets make is that they have Internet speeds several times better than the current 3G network. Here are some hot 4G tabs you can grab at the moment.Read more after the break..
AT&T, the second best 4G network provider behind Verizon has floated up Acer’s Iconic Tab A501 in the U.S. market. However, currently AT&T provides its HSPA+ connectivity for 4G for the Acer tablet. The carrier has just kicked off to expand its 4G LTE network across the country. Only few cities are so far covered with AT&T’s 4G network. Acer Iconia Tab A501 is a smart Android 4.0 Honeycomb tablet in spite of its bulky size. The device, so like almost all other Android tablets, features a 10.1-inch display with a 5-megapixl camera in the back and a 2-megapixel camera in the front. Iconia Tab runs on NVIDIA’s Tegra 2 processor and highlights WiFi b/g/n, Bluetooth, USB 2.0, HDMI output and microSDHC card slot. The tab is priced at $330 with a two-year data agreement and $480 without any contract. HTC EVO View 4G is actually a Sprint Nextel iteration of the company’s famous 7-inch tablet HTC Flyer. EVO View 4G makes different because it is with the advanced 4G connectivity option. Sprint’s much-appreciated WiMAX 4G gives strength for the tablet. You can access Web pages, watch videos clips and video-chat with friends in a blazing speed, thanks to Sprint WiMAX 4G. HTC EVO View 4G is with a 7-inch display that has a resolution of 1024 x 600 pixels. The gadget sports a single core Qualcomm Snapdragon cloaking at 1500 MHz and 1024 MB RAM under the hood. HTC launched Flyer in reply to Apple iPad and Samsung Galaxy Tab. 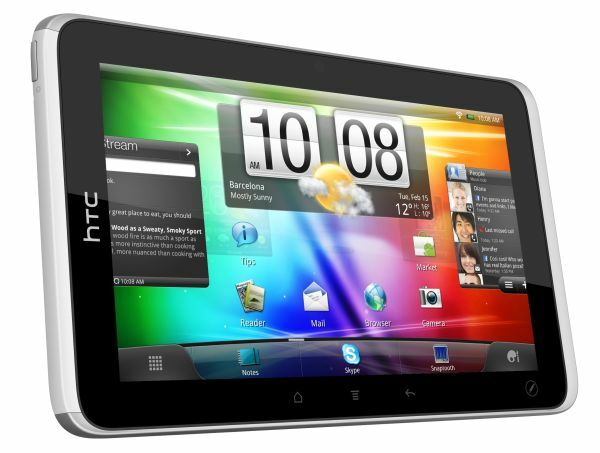 So with a high-performing Sprint WiMAX version, the HTC tablet remains ensures its presence. Verizon Wireless that is leading in the country for 4G LTE network sells the 4G-enabled Samsung Galaxy Tab 10.1. Verizon has expanded its 4G network to more than 75 major cities in the U.S. The carrier is to cover almost all major cities with its 4G LTE network by the end of this year. Samsung Galaxy Tab 10.1 is, in fact, the second version of the company’s Galaxy Tab tablet. The device is indeed an amazing product and is considered as the best Android tablet ever. 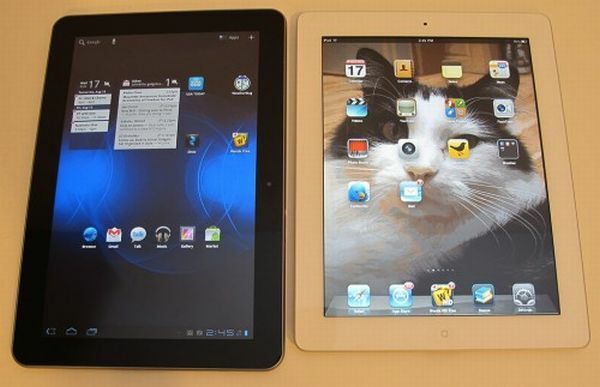 Of course, the tablet is a big threat to both Apple iPad 2 and the upcoming iPad 3. Samsung has built up Galaxy Tab 10.1 on a platform that has NVIDIA’s 1GHz T20 dual core Cortex A9 CPU, 1GB of RAM and 16GB or 32GB built-in memory options. Yes, it runs on Android 4.0 Honeycomb. 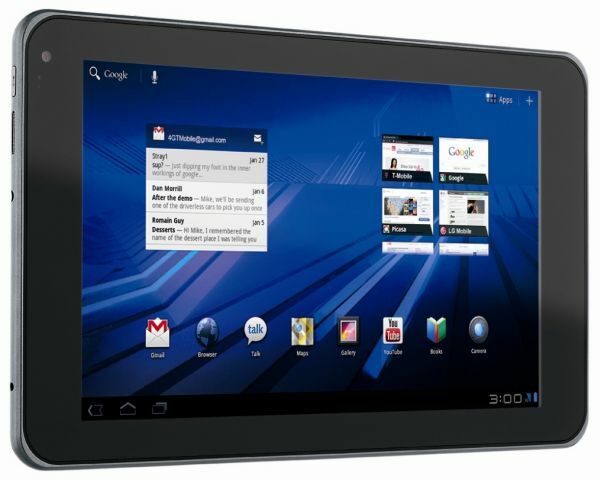 T-Mobile avails 4G connectivity for LG G-Slate 4G, another Android Honeycomb 4G tablet PC. G-Slate is sharing a resemblance with Apple iPad in its front part. The LG tablet is flourished with a dual core 1 GHz Tegra 2 processor, 8.9-inch multitouch screen, 32 GB built-in memory and a 3D camera in the rear panel. T-Mobile touts 3D camera and 4G compatibility of LG G-Slate as the unique selling points. You can grab a copy of the device on spending $530. 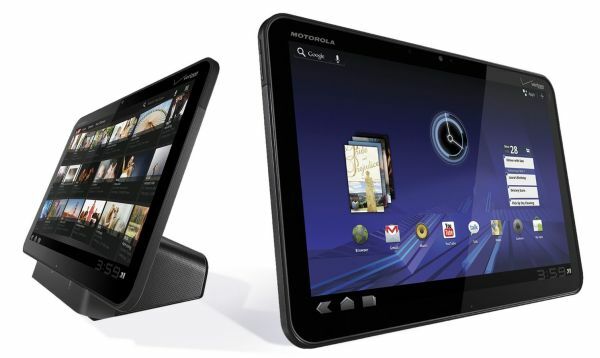 Dell Streak 7 is another key 4G tablet from T-Mobile. It is also one another leading Android tablet available. The device helps you share images, videos and films quite faster thanks to its 4G connectivity. Streak is muscled up with a NVIDIA Tegra T20 dual core processor, 16GB of internal storage and a 7-inch Gorilla Glass multitouch color display. Adobe Flash 10.1, 5-megapixel rear camera with auto focus and 1.3-megapixel front-facing camera make it a perfect product.